Once every three years or so there is a month with two full moons. The second is known as a blue moon. If you’re reading this on July 31st and you go outside right now, you’ll be standing under one. Astrologers seem less excited about the second-of-the month aspect of today’s full moon than about the moon being in Aquarius. Breakthroughs in the midst of struggles are predicted. You’d do well to pay attention today. But perhaps you were not even aware that the moon has just gone full. Why is the lunar cycle even important? I grew up on the south shore of Long Island, on a skinny street between two canals. It was a poorly crafted street which went downhill as you traveled inland from the bay to its lowest point where the two canals dead-ended. When the moon was full, high tide was very high – so high that the ocean spilled over the bulkheads and flooded the street at that low point. If you needed something from the store, you were just going to have to wait a few hours. Most of us live too cut off from natural phenomenon like moon tides to feel the consequences of the lunar cycle. But that doesn’t mean we should ignore it. The same gravitational pull that affects the tides draws gently of the water in your body. It changes you, in albeit subtle ways. 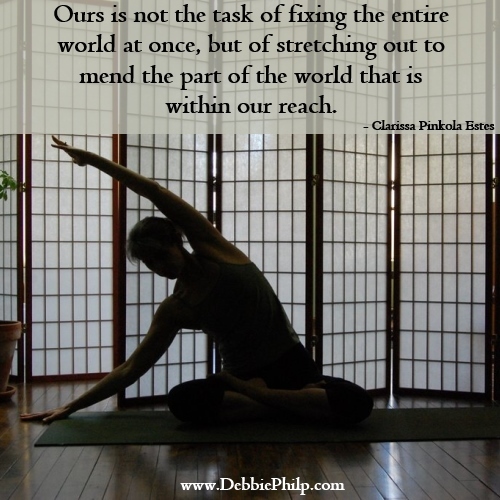 When we start to pay attention – really pay attention – we become aware of those subtle changes. Yoga is an excellent tool for building subtle awareness of your body. The practice of Chandra Namaskar, the moon salutation, taps into the cyclical nature of the moon while opening the hips, the seat of the second Chakra. The sacral energy center is the home of water energy. Water is changed by the moon. Do you see where this is going? The circling sequence of Chandra Namaskar itself represents the cycle of lunar transformation, the flow and ebb and flow and ebb that is the constant rhythm of life. Are you tuned into the lunar cycle? Is it time to start exploring the moon’s ever-changing energy again? I’d love to hear from you. Share your comments below! 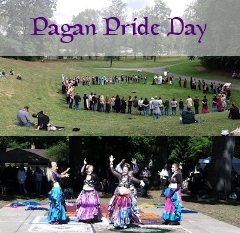 Next weekend I am teaching a yoga workshop called “Elemental Yoga” at the Central New York Pagan Pride Day Festival in Syracuse, New York. I’m very excited. This is the first time I’ve ventured out of my comforting Adirondack mountains to teach yoga to strangers, so I’m also a bit nervous. I have been doing lots of grounding work over the past few weeks, drawing nourishing energy from the earth, while at the same time inviting my vision for the workshop down to the physical level so it will manifest. Yoga always helps me stay grounded and centered, but these three simple poses are my go-to poses when I need a quick refocus. Mountain pose. Tadasana is the basis of all standing poses in yoga. It embodies the grounding energy of the root chakra and brings awareness to your postural alignment. Stand with your feet no wider than your hips and your toes forward. Soften your knees, spread your toes and balance your weight between the balls of your feet and the center of your heel. 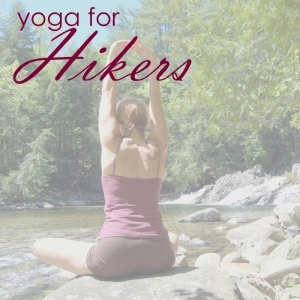 Drop your tailbone and reach the crown of your head up, lengthening your spine. Relax your arms by your sides. Close your eyes and imagine your weight dropping into your feet, like you are trying to be so heavy that no one can lift you off the ground. You might sense your feet sinking into the floor or, if you are outside, the ground. Keep your knees slightly bent – if you lock them it will be harder for you to keep your feet heavy. Lotus pose. Padmasana originated in the meditative practices of ancient India and is still used by modern-day practitioners. This centering posture presses your sitting bones, your physical “roots,” firmly down. Due to the hip and knee flexibility required, full lotus pose, with both feet placed on the opposite thighs, is not available for everyone. If you find it difficult, you can modify by bringing just one foot onto the other thigh (half lotus pose) or simply crossing your ankles (easy pose). If you practice Padmasana regularly, be sure to alternate which leg is on top to avoid developing imbalance in the hips. Once you get settled in your seat, lengthen your spine, lower your chin slightly and become aware of everything that is touching the surface you are sitting on. I find that just a few minutes focusing on my physical connection to the earth is calming and helps me to feel present. Cobra pose. It is difficult to get closer to earth energy than to have your belly on the earth in Bhujangasana. Lie face down and stretch your legs back, feet hip-width apart, and press the tops of your feet into the floor. 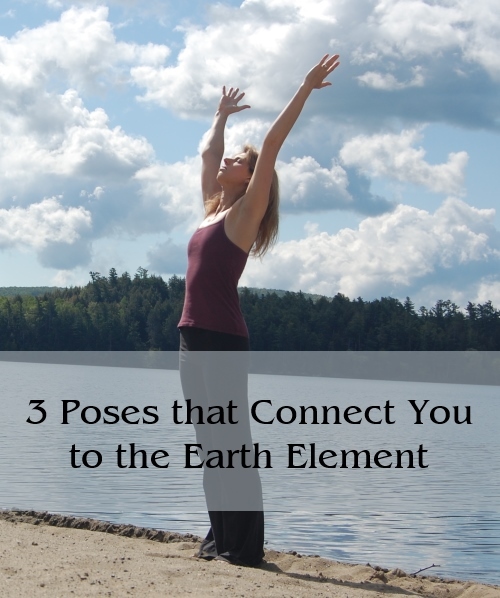 Place your hands under your shoulders, fingers spread, and hug your elbows to your sides. 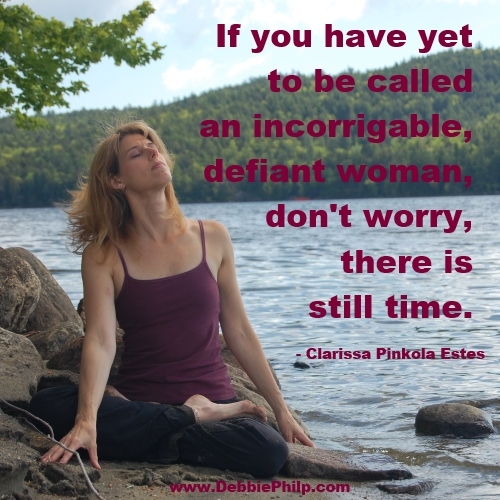 Keeping your pelvis pressed into the floor and straightening your arms as you make space to do so, lift your heart. Relax your shoulder blades down your back, draw your lower belly slightly off the floor and lift the top of your sternum. Draw your ears away from your shoulders, lengthening your neck. Feel the tops of your feet, your thighs, your pelvis and your low belly on the earth. If you are in a time of transformation or change, add extra oomph by closing your eyes and imagining you are shedding your skin, slithering out of whatever you are letting go of in order for change to happen. My own interest in stones began when I was a child. I collected rocks everywhere, and was overjoyed when I found quartz or the beautiful red garnet which has been mined in the Adirondacks since the late 1800s. I’ve continued to learn about and work with crystals whenever there was an opportunity. Nowadays I carry a medicine bag with a variety of crystals, including one for each Chakra. There are a number of stones that work well with each Chakra, and some are used for one Chakra by some folks and for a different Chakra by others. I chose the crystals which would best enhance the qualities of each Chakra that I most needed to heal, balance or support. Perhaps you will find others work better for you. I choose a stone by holding it in my hand and seeing how it makes me feel. You’ll know when you’ve got the right one. Hematite, or blood ore, powerfully roots you to the earth. It is used for grounding and for protection from negative forces. 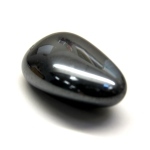 I work with hematite when I feel insecure or mentally scattered, to reconnect with the first Chakra’s stabilizing energy. A powerful stone for all the lower Chakras, citrine dissipates negative energy and invokes feelings of warmth, joy and hopefulness. It aids in physical and emotional healing and attracts abundance to your life. I chose citrine for the second Chakra because of its positive effects on the emotions. Tiger eye fires up vitality and personal power. This stone, which represents the sun, promotes optimism and aids with manifestation and the expression of will. 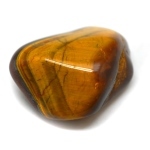 I work with tiger eye when I’m ready to take action on an idea or to stand up for my beliefs. Like the 4th Chakra, green aventurine creates balance by evening out your masculine and feminine sides and the give and take of relationships. I use aventurine for work with love relationships, to get me through life changes (and there have been many), and to release anxiety. I have held a piece of turquoise to keep me calm and relaxed while speaking in public. 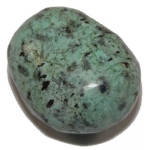 Turquoise helps you communicate your truth and to empathize with others without loosing sight of your own values. It can help with any form of self-expression, as long as you are being honest with yourself and others. 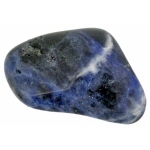 Sodalite increases physic abilities and intuition, making it ideal for Third Eye work. It helps you recognize patterns in systems like astrology and the tarot, and can bring latent creative abilities to the surface. I bring out my sodalite whenever I’m stuck for a new idea or solution. 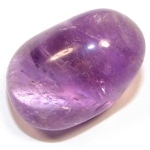 The perfect stone to accompany meditation, amethyst helps you quiet your mind and amplifies spiritual energy. Amethyst beads make wonderful malas. I use the uplifting energy of amethyst when life starts to feel heavy. For a simple Chakra balancing practice, hold each stone, one at a time, in your hand and meditate on the look and feel of the stone, and how it makes you feel to hold it. Allow the energy of each stone to connect with yours and to enhance the energy of your Chakras. I have put together sets of the crystals I use for my Chakra work, which are available in the True North Yoga studio and will soon be in our Etsy shop. If you would like to purchase one before they go on Etsy, contact me and I’ll happily send one your way. I am a big fan of circles. 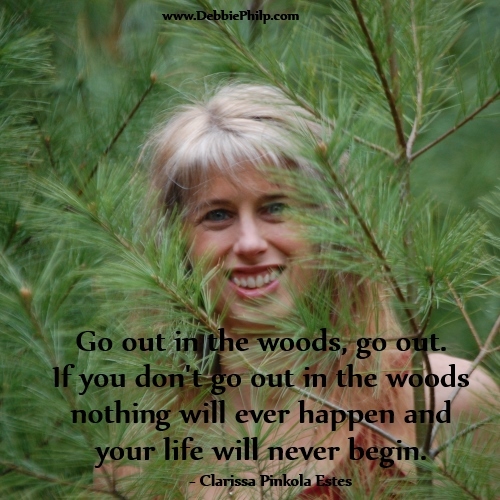 If you visited the page about my spirit circles you’ll know just how powerful circles can be. A circle holds sacred space, and in that space amazing things can happen. By incorporating circular movements into your yoga practice, you can create sacredness around you and within you. I love to create sequences that contain circles to offer you that sacredness. This short and not-too-challenging vinyasa flow sequence incorporates a number of different circles. 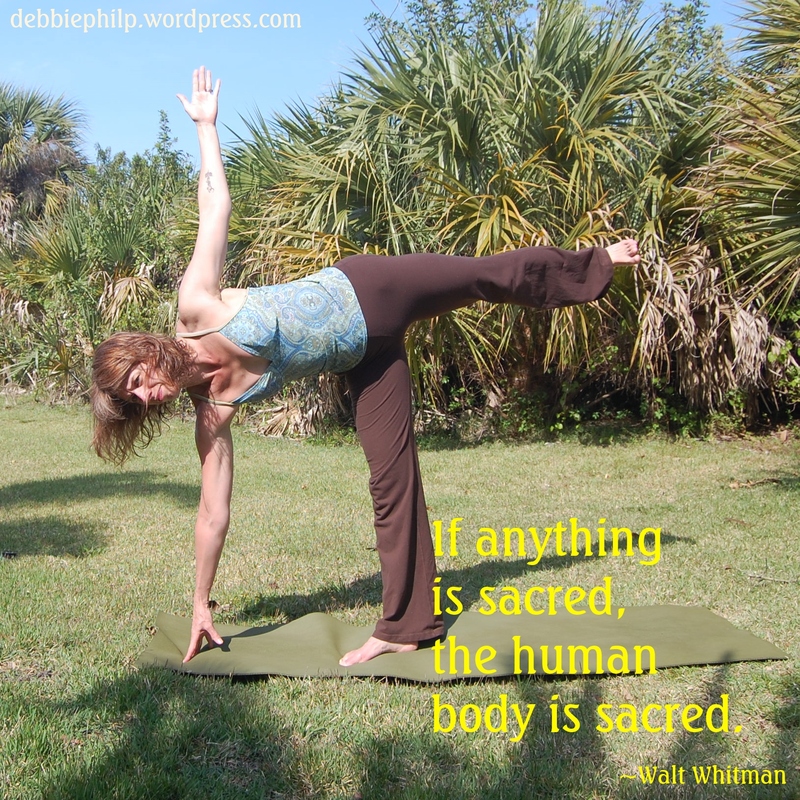 Unroll your yoga mat and create your own sacred circle with your practice.